My last trip to downtown Cedar Falls was on a winter night when the sun went down early, but the streetlights and decoration made the business area lively and the nearly fully occupied storefronts are worth walking past and looking inside. There was even a horse-drawn buggy moving down the street that night. 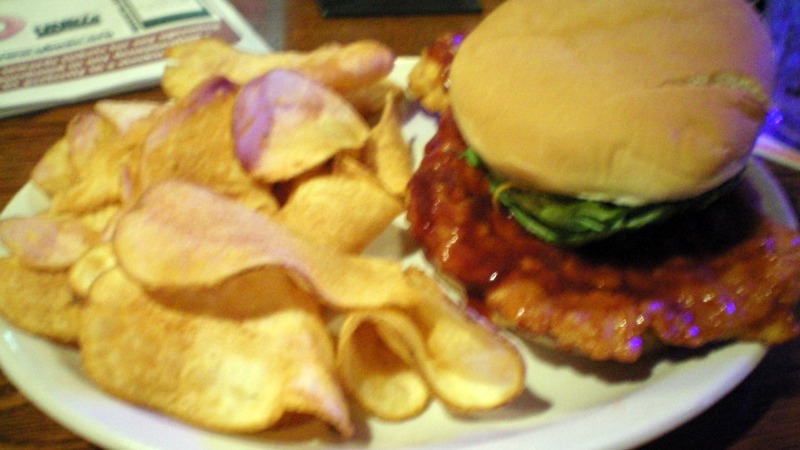 While browsing through online restaurant menus, one tenderloin from this area stuck with the option to have the sandwich dipped in BBQ sauce. I had to check this one out. Location: 311 Main St in Cedar Falls, in Eastern Iowa. Directions: Its on main street in the downtown area. The Tenderloin: This is listed on the menu as the PH Tenderloin. 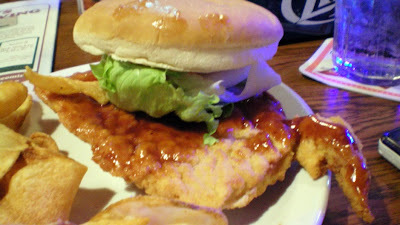 The thick layer of breading absorbed the BBQ Sauce and kept it close to the meat. The white pork had slightly above average thickness and juiciness. There was a little piece that stuck out like a finger of pork. Served on a large untoasted bun with all the fixings. Overall 7.0 out of ten. Price: $8.49 with a side, plus 50 cents to dip it in BBQ sauce. Service: Its table service that was typically slow as most sports bars seem to be these days. Ambiance: This is a recently remodeled Main St. building, with exposed brick and good lighting, with tables and booths or a bar area for seating and flatscreen televisions everywhere. 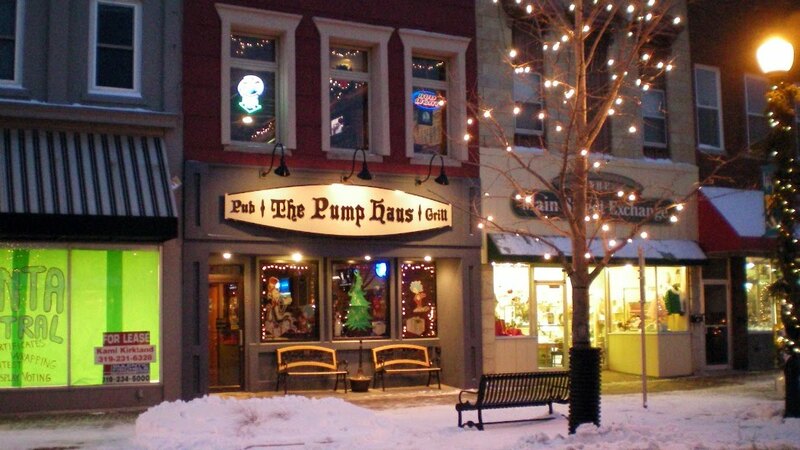 Final Thoughts: The Pump Haus has a full title with Pub and Grill, and it is better than most sports bars I have visited. The lighting and small table I was sitting at meant I couldn't get any good pictures of this tenderloin. Next on my list in this neighborhood of Iowa is Newtons Paradise Cafe in downtown Waterloo.